Ah, what a perfect day to take the day off and lazily enjoy a fun romantic comedy. Happy to have these excellent reviews of movies I have yet to see. Hope your 4th of July is a fun day for you, too, Mouse. It is the perfect day to take off Elf! I always love a romantic comedy. I hope you have a wonderful 4th of July too and thank you! Love is often funny without even trying to be humorous. Perhaps that is why we enjoy romantic comedies so. Kind of nice to laugh at something other than our own foibles for a change. I was just looking for a movie to rent for tonight. These are great options. Thanks! Happy 4th! Isn't it wonderful that we have the freedom in this country to watch anything we want to watch (and anytime we want to watch it)? What an excellent thought and comment! It is wonderful to have that freedom and so many others that we just take for granted. Happy 4th to you too my friend! 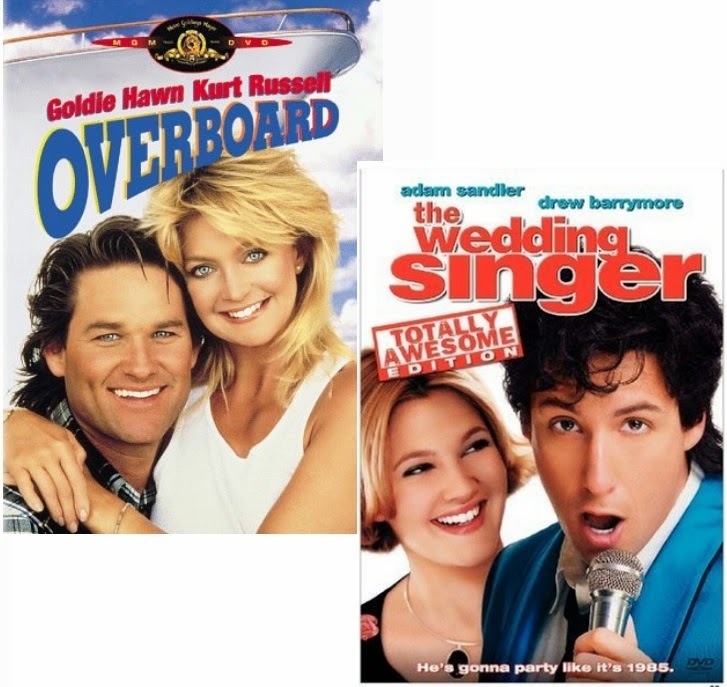 I don't think I've ever seen Overboard. Thanks for the recommend. It had been many years since I had seen it myself Mary Beth. It really was like seeing it again for the first time. I was quite glad to rediscover it. Thank you for the feature Miss Mouse! I do LOVE both of these movies!! They are so fun to watch over and over again. Guess that's why I like romantic comedies!